EAST BETHEL. One of Bethel’s oldest farms will remain a farm far into the future. On Friday, January 22, Robert W. “Sonny” and Betty Ann Hastings donated a conservation easement on 173 acres of their farm property. The Hastings worked with Mahoosuc Land Trust and Maine Farmland Trust to complete the process. 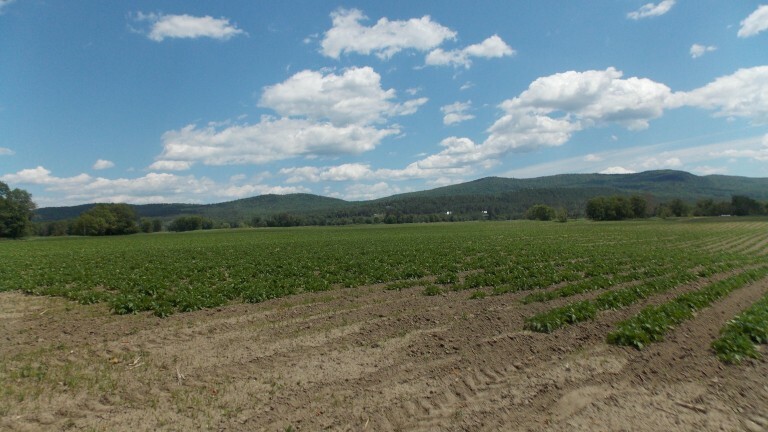 The Hastings Farm has been owned and farmed by the Hasting’s Family for more than 200 years, and includes some of the finest agricultural soils in the State, located in the rich interval of the Androscoggin River. Until recently, the Hastings operated a dairy farm, but now lease the fields to another farmer who grows potatoes and corn. The Hastings decided to donate an easement on the farm because of the family’s long legacy on the land, and because of Sonny’s late sister, Ann Morton. Ann was a leader in the community, and joined the Mahoosuc Land Trust board in 2013. After learning about the ways that conservation can support farmland, Ann suggested to Sonny that the farm where they grew up as children should be conserved. With an introduction from Ann, Jim Mitchell, Executive Director of Mahoosuc Land Trust, began talking with the Hastings about protecting their property several years ago. Mitchell called upon Maine Farmland Trust, a statewide land trust that was founded to protect farmland, for assistance with the project. “The Mahoosuc Land Trust supports Maine Farmland Trust in its work to protect Hastings Farm because it honors the farming tradition of this community and protects soils with the capacity to grow food for people for centuries into the future,” said Mitchell. The two land trusts worked in partnership with the Hastings to ensure that the farm will remain a farm for future generations.